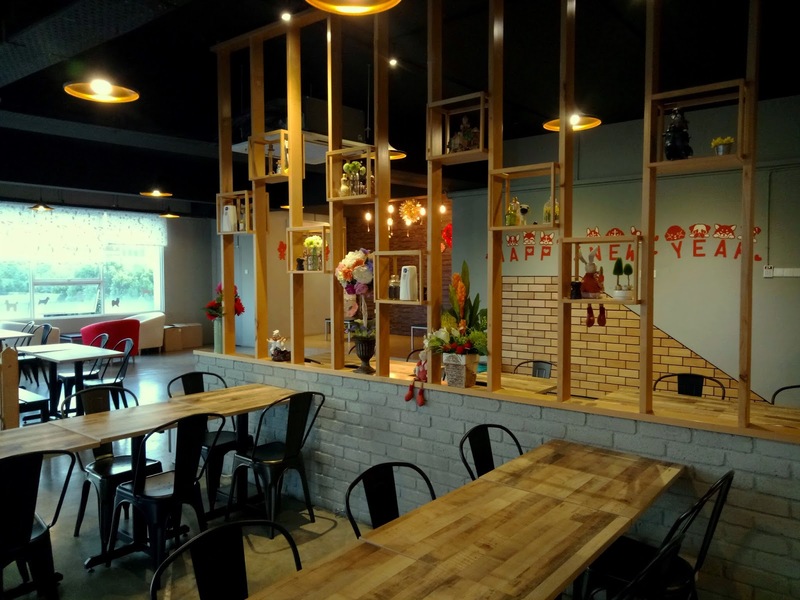 Today's dinner brings us to Déjà Woof Café, a pet-themed eatery at Bandar Bukit Raja. 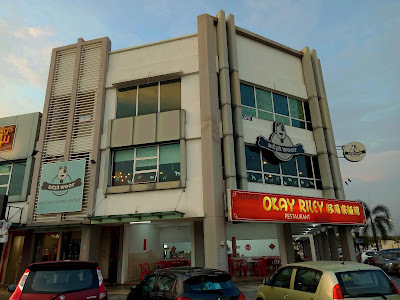 The restaurant is located at the second floor, just above Okay Riley Restaurant. The shop's name is a parody of the phrase "déjà vu" - the feeling that one has already lived through an experience. Inside the restaurant, Déjà Woof Café offers several types of seating arrangements. Besides regular dining tables, there are also couches and low tables for more casual dining. The dining area is very spacious, making this place a suitable venue for hosting private parties. Upon entering the restaurant, customers are greeted by a pack of energetic dogs. The resident dogs here are of Welsh Corgi and Siberian Husky breeds. The dogs really love to scamper under the tables to seek customers' attention. 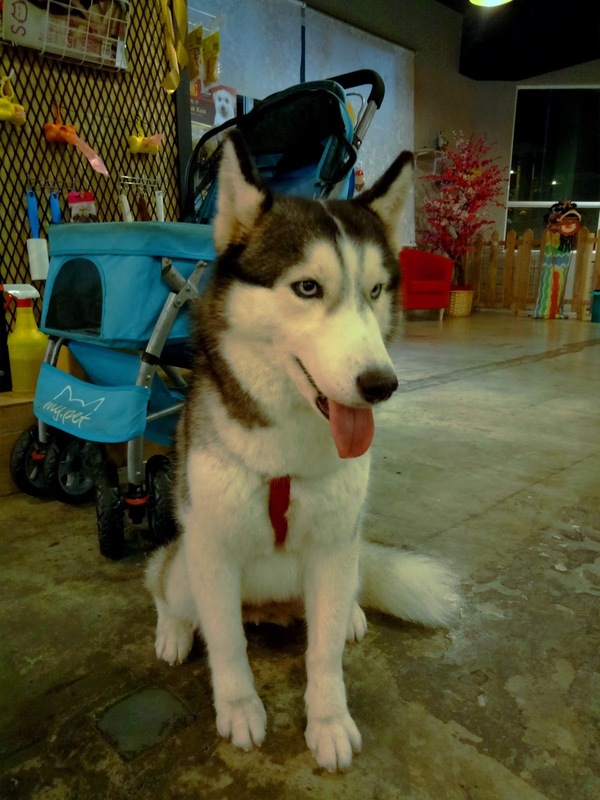 However, do not feed them with human food as this will make them quite ill.
For people who do not own dogs, Déjà Woof Café provides an avenue for them to play with man's best friend. This pet-themed café is also a good opportunity for children to interact with animals. Adult supervision is still recommended. 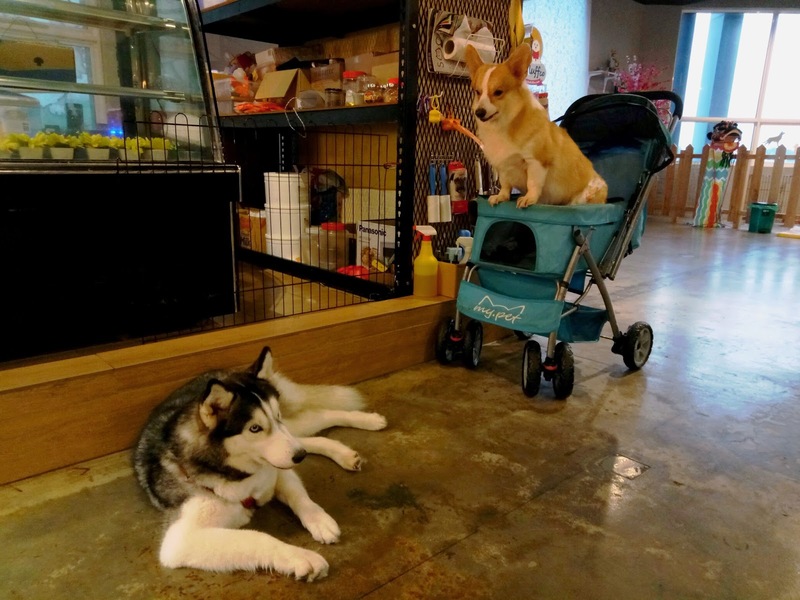 The café also allows customers to bring their own pet dogs. 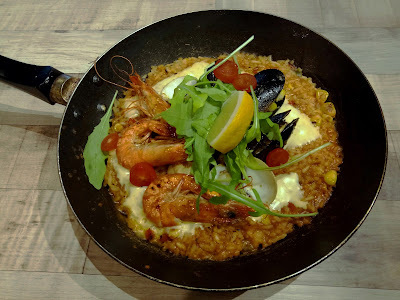 The first dish that we tried today is Spanish Seafood Rice (RM20.00). The seafood paella is presented in a skillet. Tomato-flavored rice is served with shrimps, bay mussels and clams. Parmesan cheese is also included, while a squeeze of lemon juice adds flavor. This is certainly a recommended dish. As for the Honey Glazed BBQ Chop (RM17.00), the deboned chicken thigh carries a light coating of honey and is grilled reasonably well. The taste is acceptable but pales in comparison to the previous dish. 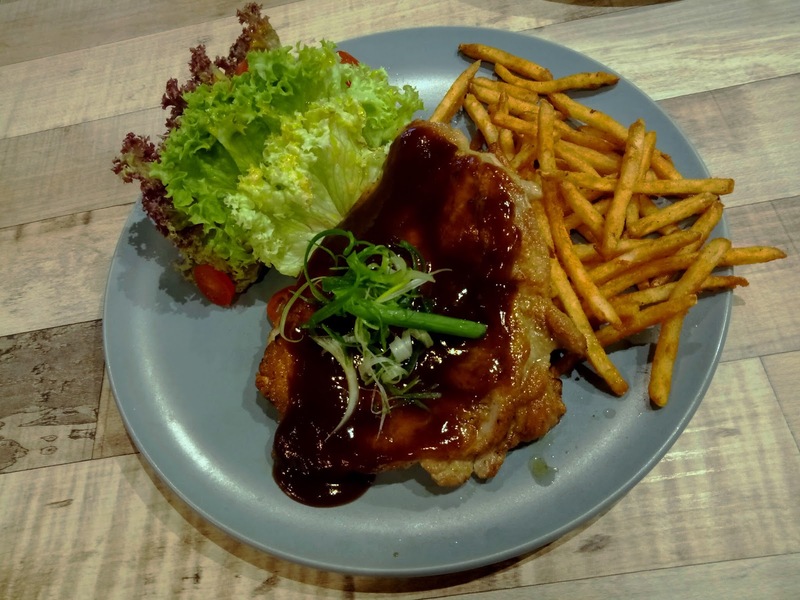 The chicken chop comes with shoestring fries and garden salad with lemon sauce dressing. Moving on to desserts, French Toast (RM18.00) is essentially thick slices of bread that are soaked with beaten eggs. 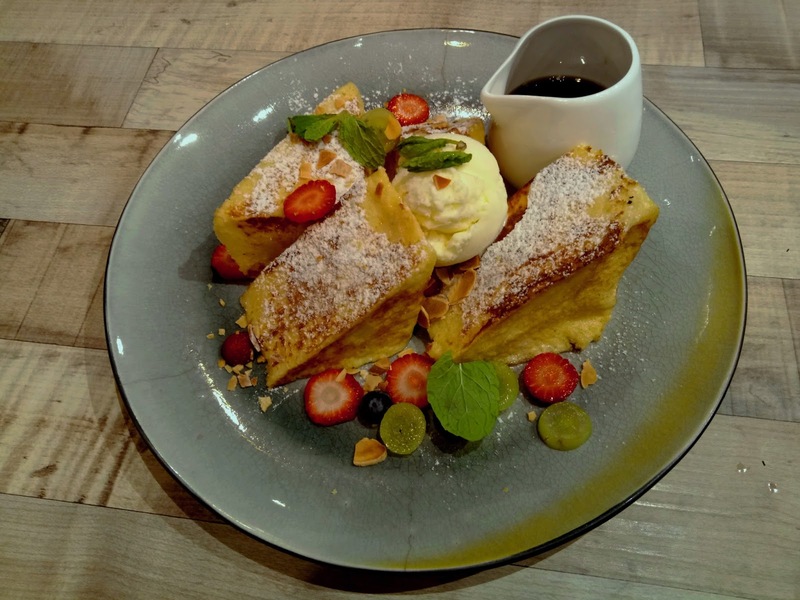 The pan-fried toast comes with a scoop of vanilla ice cream and is garnished with fruits, almond chips, mint and icing sugar. I particularly love the distinctive sweetness of maple syrup. 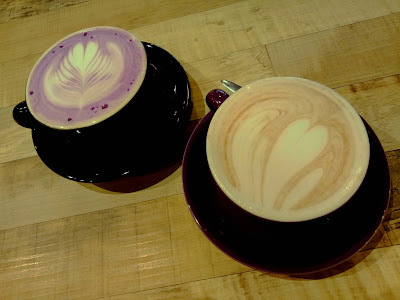 Finally for drinks, Azuki Latte (RM10.00) contains sweet azuki beans at the bottom. However, I feel that the beans do not integrate well with the coffee. Meanwhile, the newly introduced Sweet Potato Latte (RM11.00) has gentle sweetness of sweet potato. 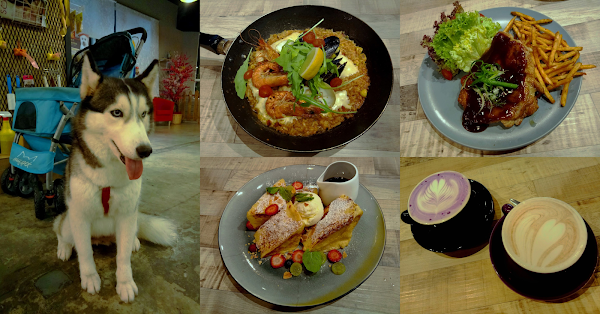 In summary, the food and ambience at Déjà Woof Café are generally favorable. Some food items are on the costlier side, but this is offset by the fact that the restaurant offers customers the pleasure of playing with their canine friends.